This package in our surf lodge in Nias Island, in front of the famous Lagundri Bay wave (considered one of the best 10 waves of the planet) is perfect for intermediate and experienced surfers, unforgettable tube hunters, long walls and dream spots. In the inside area there is also a wave suitable for beginner surfers. Nias Island is located about 125 km off the west of Sumatra Island in the Indian Ocean. It is part of the North Sumatra Province. The water around it is great for marine activities, as surfing and scuba diving. Local culture is very interesting and it captures the heart of every visitor. In Nias there are several prehistoric remains of the Megalithic period of "Stone Age", belonging to the oldest Indonesian megalithic culture. In our family runned surcamp, you will be able to choose between Standard rooms and Vip rooms, however, you will always feel home, between fresh fish barbecues, lots of fun with nice local people and amazing sunsets, all framed by the famous view of the waves of Lagundri bay. 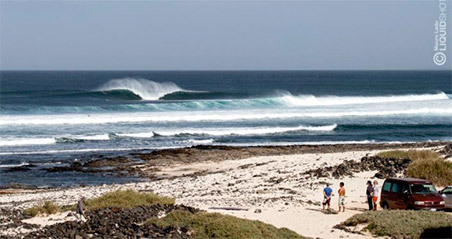 We include full board and the view on one of the most beautiful waves in the world. To reach the island of Nias, we first recommend flying to Jakarta international airport (CGK), in the capital of Indonesia, easily reachable by international flights. From there, you must reach Medan Airport (KNO), there are several domestic flights from Jakarta to Medan, with Lion Air, Garuda, Citilink, Sriwijaya. Once you arrive at Medan airport, you have to fly to Nias Airport (GNS), usually with Wings Air or Garuda Airlines. The Nias airport is about 2,5h driving from the camp. For domestic flights, average price between 40€ and 100€ per trip. Surf lodge airport shuttle: Included in the surf lodge package, we offer airport shuttle round trip, with private driver, about 2.5 hours drive by car. Most nationalities do NOT need a special visa to go to Indonesia (30 days on arrival).We always reccommend to check the validity of your passport before travelling (at least 6 months validity from the scheduled return date) and to take various copies of your passport with you, if the original gets lost. There are not good hospital facilities in Nias, only small medical centers, we recommend traveling with an international travel insurance, in the emergency case of helicopter transfer to a bigger hospital.